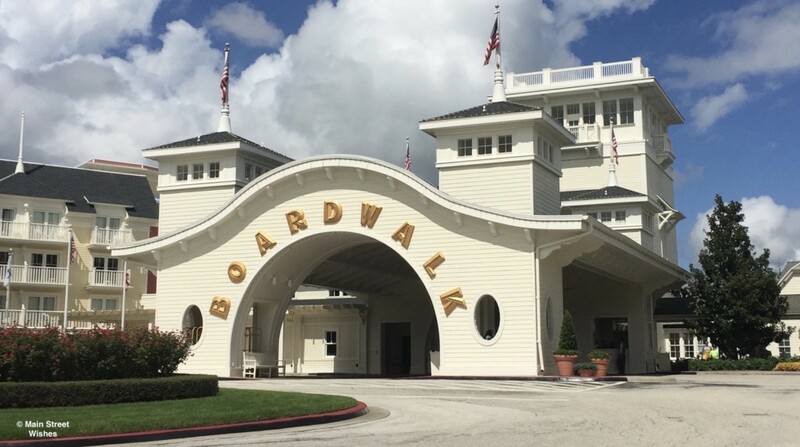 Beginning on February 27, 2019 Walt Disney World Resort hotels will be implementing a new credit card policy. This new policy affects guests who want to put a card on file for their trip. Disney will now be putting an incremental authorization hold on the card on file for estimated incident expenses when a guest checks in to a Walt Disney World Resort hotel. The hold will be in the amount of $100 and once the guest reaches $100 in expenses, another incremental hold will be put on the card. The amount will not exceed whatever the current balance is plus the $100 incremental hold. So keep this new policy in mind when you are choosing a card to put on file. Guests will still be able to pay their balance with their gift cards at the front desk of their hotel and any authorization holds will be released upon checkout. However, make sure to visit the front desk before the morning of your checkout day to use any gift cards to pay the balance. Most guests, if using gift cards, will pay the balance the day/night before checkout. Disney has also stated that they will be advising guests of this change during online check-in through their My Disney Experience account or at the front desk during check-in. For guests that have already done online check-in for stays on or after February 27, Disney will be sending a letter later this month that explains the new policy. What do you think of this new credit card policy? I really wish the would come up with a system that you can just put your gift card on file. I would love to just hand them $2000 in gift cards and have them apply them at check in. Then if you don’t use them all refund them at check out. I agree with you, Ami, 100%! I think it would be great if they could come up with a way to put the gift cards on file and I’m sure there are a lot of people that agree with you. Disney has been updating things lately, so hopefully this will be something that gets included in one of the updates. I really don’t like this because if you are Canadian then the dollar amount is different and if they reimburse you at the end of the trip then the dollar amount will be different and we will lose out. Well maybe we will not put a card on file. It’s not really a charge, it’s just a hold. The hold is released when you checkout, so you don’t have to get a refund or anything like that. Are you charged the 100 dollars no matter what. We always use card and charge to the room. Will I be charged this additional $100 if I use my band to charge to the room. I guess I don’t fully understand this policy. If you have a card on file in order to charge things to the room, then they will put a $100 hold on the card on file. It’s not really a charge, because the hold is released when you checkout, so you don’t have to wait the normal 7-10 business days for a refund. So if you plan on using your MagicBand to charge things to the room, then a $100 hold will be put on the card. We are going on Feb.17 2019! I’m not really sure of what the current policy is honestly! Lol! Is this change much different than what’s currently in place? Hey, I thought they did this anyway but the limit was £500? This has always happened each time I’ve visited, they take your credit card details and once you’ve spent £500 it’s charged, so only difference is they now doing it when it reaches £100? Is this correct? Thanks. I think it would be better the original way, if you’re spending money why do they care? I think maybe this new way could be inconvenient.